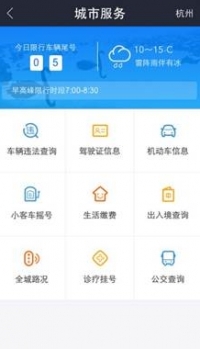 Alipay has already gotten into transport cards, bill payments and hospitals in China, now it's focused on public services again with local government partnerships. China International Payment System - What to Expect? News is that the China International Payment System (CIPS) is ready and selected 20 banks are about to start testing, among which seven are subsidiaries of foreign banks. The new system was developed by PBoC and aims to be a significant improvement on the current way companies make cross-border RMB payments. There are now 18 million shoppers in China who buy goods from international platforms and have already spent RMB 216 billion doing so, according to Nielsen. The market is constantly growing, boosted by a more affluent middle class and government support. In our Top 10 China Banking Technology Trends report we talk about how China UnionPay extended its cross-border payments expertise to the ecommerce and joined the industry with its Haigou service in 2014. A new entrant to the cross-border e-commerce market is SF Express. SF is one of China's major logistics and delivery companies and relies on an entirely different set of strengths to develop thier business. 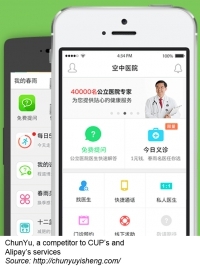 Recently CUP announced a cooperation with some of Shanghai’s well-known hospitals to launch an app, where users will be able to perform many of administrative hospital visit procedures on the mobile. This is the first step of CUP’s Modern Hospital plan, aimed to connect major hospitals to its payment solution. The total number of payments licenses currently stands at 269. 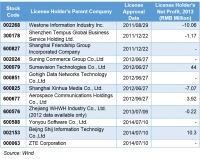 Most of the licensed companies are private and do not disclose their financials, however, some publicly listed corporations have invested in the payment industry and a peek into their most recent annual reports allows us to know a bit more about the profitability of the payments industry in China. On one end of the spectrum, Alipay dominates the market and is very profitable. On the other, a prepaid-card company almost went bankrupt in January, which begs the question of how the industry is doing as a whole. Did a Chinese prepaid card payment company just go bust? Some industry reports and rumors seem to indicate that the Chang Gou company's 'Chang-go' pre-paid payment cards are no longer usable. What does this mean for the industry? December 12th, 12/12, or Double 12, was Alibaba's sequel to the highly successful Singles Day (November 11th). The difference this time though was the incredible focus on and success of the online-to-offline commerce push. First signs of the Alipay Apple partnership? The new version of the popular Chinese payment app Alipay now supports Apple’s fingerprint touch sensor for account access and payment authorisation instead of a password. This is part two of a two part series looking at China Unionpay's launch of Android Pay. 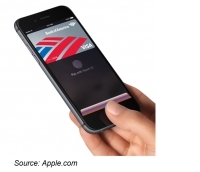 Part one examined the potential impact of Android Pay on the mobile payment industry. Today we take a look at China Unionpay's business strategy in the mobile payments space as it launches Android Pay. We also answer the question of why China UnionPay would even be interested in having their own mobile payments app in the first place. The recent annoucement of the tie-up between GlobalCollect and China UnionPay tie-up could be a game changer for China UnionPay's international business. Could China Unionpay change the mobile payment market with Android Pay? This is part one of a two part series concerning China Unionpay's launch of Android Pay. Today we take a look at Android Pay's potential impact on the mobile payments industry. Part two will look at China Unionpay's business strategy within the mobile payments space as it launches an Android based mobile wallet. 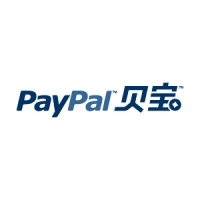 What is the impact of Baidu's acquisition of payments provider 99Bill? 99Bill, a Chinese payments company, was just acquired by Baidu for RMB 2 billion. While there was no official confirmation from Baidu yet, the rumors started appearing on November 18. As the deal comes through, it will be yet another instance of a tech company moving into online finance. Alibaba through Alipay and Tencent through Tenpay already have payments licenses and operate successfully in the industry. Only Baidu was the last company of the three technology titans without a considerable traction in online finance. Its Baidu Wallet is still in promotion phase and is yet to gain a user base comparable to that of Alipay or Tenpay wallets.